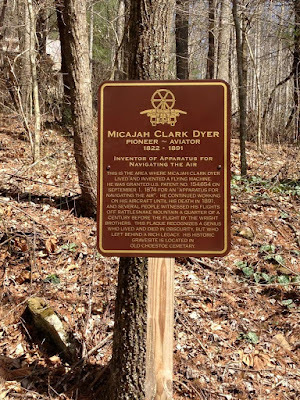 We wanted to share with you some of the places where, during the past 12 months, the story of Micajah Clark Dyer's invention and life’s work was introduced to the public by way of exhibits and presentations. Many more people learned about this remarkable pioneer aviator throughout the year. If you are a newcomer to this site, you may wish to scroll down to the earlier posts and discover how the story of Dyer's amazing invention was almost lost before some documents were found that revealed just how impressive his work really is. 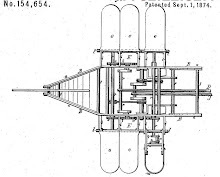 Clark Dyer's craft design is primitive in light of the advancements made throughout the quarter of a century that followed, but in 1874 it represented the beginning of the transition from dirigibles to powered, heavier-than-air craft. Dr. Tom D. Crouch, the long-time Senior Curator of Aeronautics at the Smithsonian Institution's National Air and Space Museum in Washington, D.C., said that while it may sound farfetched, it would be a mistake to dismiss the notion that Clark Dyer got the machine airborne. 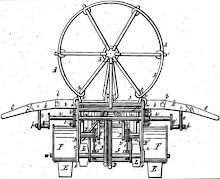 He said, "People like Dyer are absolutely fascinating because they simply incorporated principles that they knew worked, like paddle wheels." "To grant a patent, the Patent Office must determine that an invention is new and not a mere obvious change. Beyond that, it must be clearly apparent that the invention works as described and is useful in its application. So, we can be confident that the Patent Office staff saw to it that Mr. Dyer's application for a patent for 'Improvement in Apparatus for Navigating the Air' was valid, workable, and new—worthy of being sewn into the rapidly expanding quilt of aviation knowledge." Please let us know if you have groups that would like to have the Micajah Clark Dyer story presented at their meetings. Also, we continue to seek someone to build additional models of the airplane to be placed in local libraries, schools, museums, etc. A large project that we want to see begin is the building of a full-size replica of the plane. 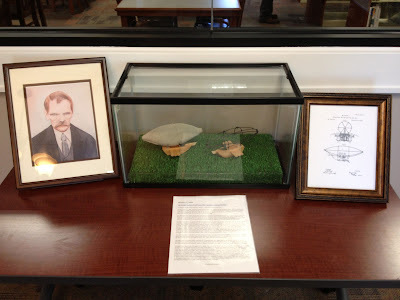 We plan to continue our efforts to get him inducted into the Georgia Aviation Hall of Fame, and to gain recognition for him in other ways, such as issuance of a U.S. Postage memorial stamp, an exhibit at the Smithsonian Air and Space Museum, naming an airport for him, and getting the story included in the history books.